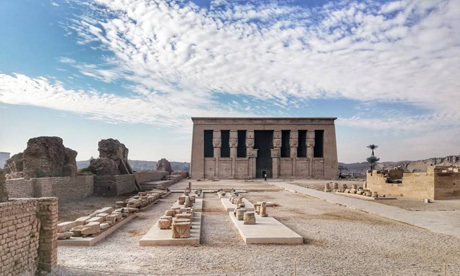 In collaboration with a French archaeological mission, Egypt’s Ministry of Antiquities is developing the area around the Dendera Temple complex near Luxor into an open-air museum. 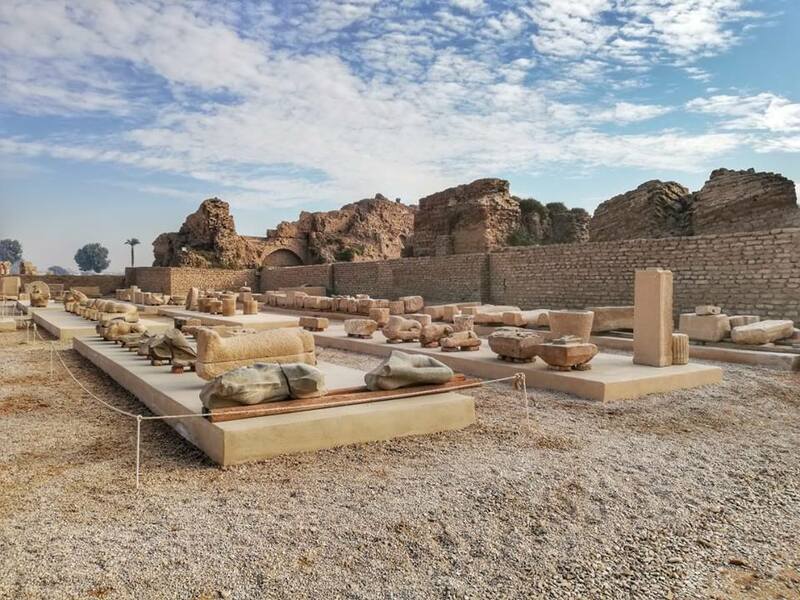 Mostafa Waziri, secretary-general of the Supreme Council of Antiquities, told Ahram Online that nine stone blocks have been created to serve as mounts for engraved blocks, stelae and statues uncovered in the area and left in situ since their initial discovery. The displays will also include artefacts from the area’s store galleries. 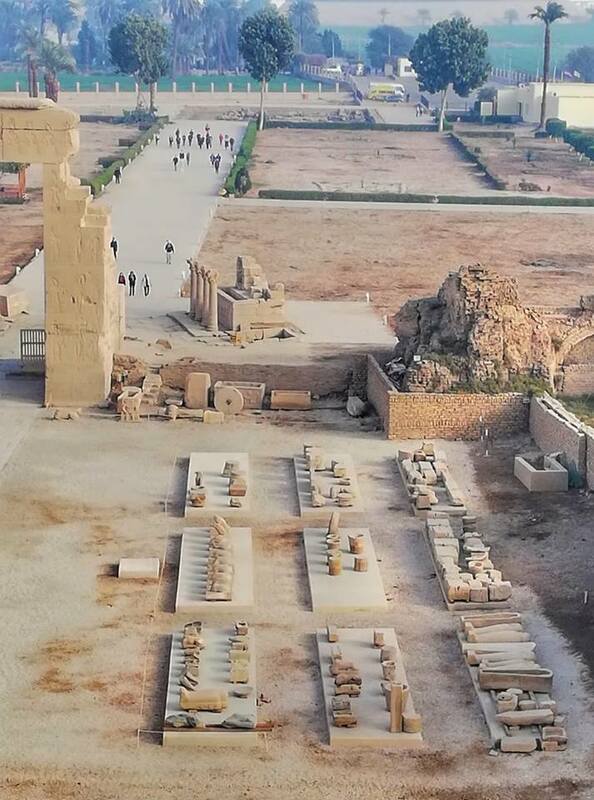 The newly fabricated blocks have been placed in the open courtyard at the entrance of the temple, where a collection of statues of ancient Egyptian deities has been installed. Among these statues are those of the goddess Hathor, the god Bes, and the falcon god Nekhbet Waawet. Dendera Temple, one of the best-preserved ancient Egyptian temples, is built mainly of sandstone, and it was uncovered in the mid-19th century by French Egyptologist Auguste Mariette. In its present form, the temple of Dendera is largely Ptolemaic and Roman, its reconstruction having taken place under the Greek Ptolemies – the last dynasty of ancient Egypt (305 – 30 BCE) – and completed some 185 years later under the Roman Emperor Tiberius. In dedicating a temple to Hathor, the Ptolemies honoured one of Egypt's most popular deities. 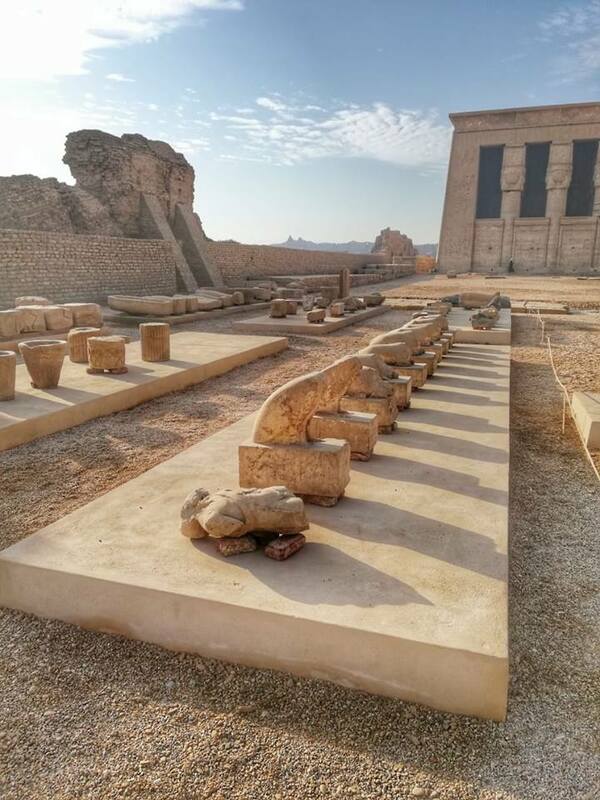 Under Greek and Roman rule, Egyptian temples continued to have mammisi (birth house). The surviving mammisi at Dendera was reconstructed by the Roman Emperor Augustus near the ruins of the one built by the Pharaoh Nectanebo, and is adorned with reliefs added by the Roman Emperor Trajan, relating to the birth of the god Horus. It was converted into a church in the fifth century, and a Christian basilica was built in the area between it and the original birth house of Nectanebo.